STUDENTS from Holy Trinity College in Cookstown were joined by their counterparts at Cookstown High School and St Mary’s in Magherafelt at a special Prayer Service today to remember the three young people who died in the Greenvale Hotel tragedy on St Patrick’s night. Hundreds of teenagers who attend the three schools were joined by teachers and members of the local community at the event. Prayers were offered for three who died, Morgan Barnard, Lauren Bullock and Connor Currie, the Fire Service, Ambulance Service and PSNI and Michael McElhatton and the staff of the Greenvale Hotel. 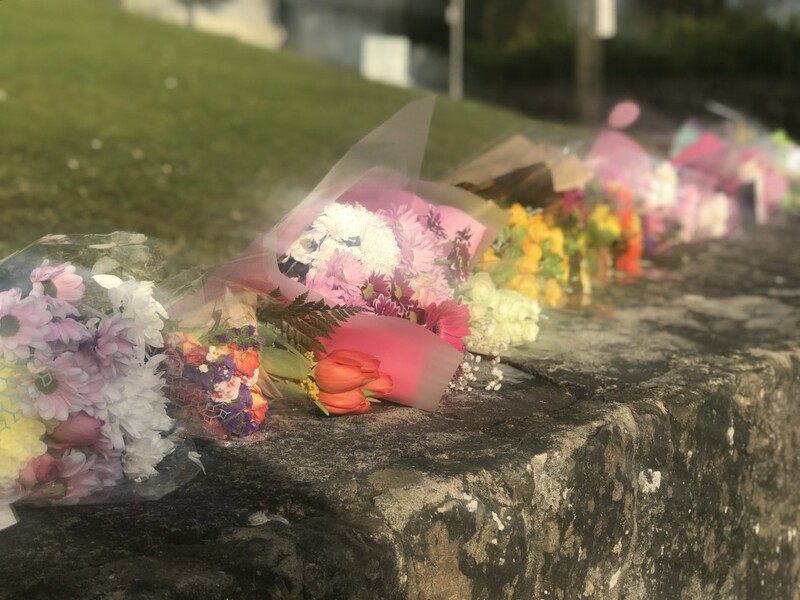 The special service, which lasted around 40 minutes was addressed by the Principal of Holy Trinity College, Isabel Russel, who encouraged students to contact staff or trained counsellors if they wanted to talk about the tragic events of Sunday night. “We as a Holy Trinity College community are glad to welcome everyone here to offer our heartfelt prayers and sympathy to the families of the three young people who died,” she said. “It should have been a night of enjoyment as we celebrated our national saint, St Patrick. But instead, it was a night of disbelief, shock and numbness as the evening unfolded and we learned of the death of three students who belonged to our neighbouring schools. “We remember especially these students who have joined their post-primary school and gone from year 8 to year 13 and year 13 and they probably didn;t have a care in the world, looking forward to a night out with their friends.